Christopher Stites and his wife are the faces behind Oakland’s Slojoy Coffee Roasters. 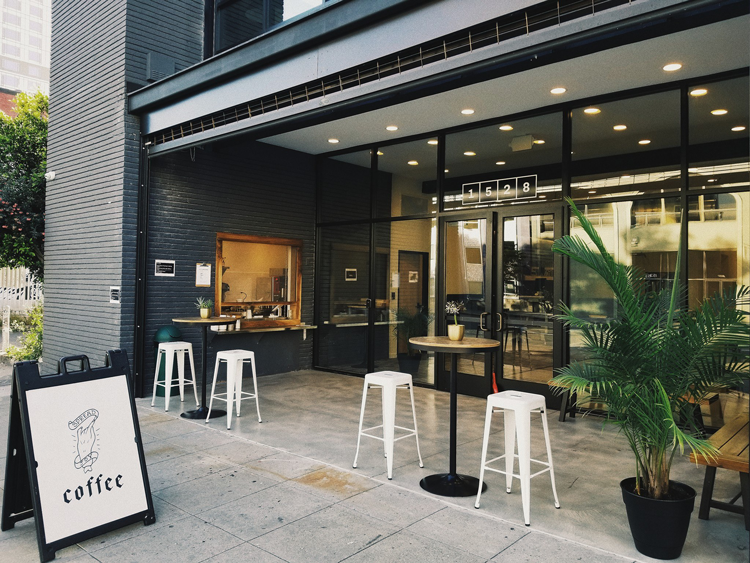 Nestled on Webster Street in downtown Oakland, you may have passed their walk-up window, you may have heard about their handwritten notes, and you may have tasted their amazing coffee. But there is so much more to Slojoy—and it starts with their mission to spread joy. And over the course of just about three years, they’ve been able to do exactly that. 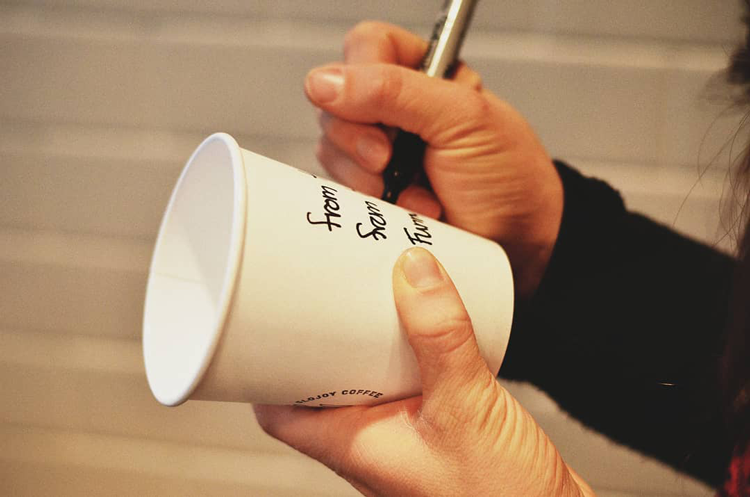 From there, they started bringing Slojoy to events—weddings and art galleries—where they served pour over and gave out cups of coffee adorned with handwritten notes. 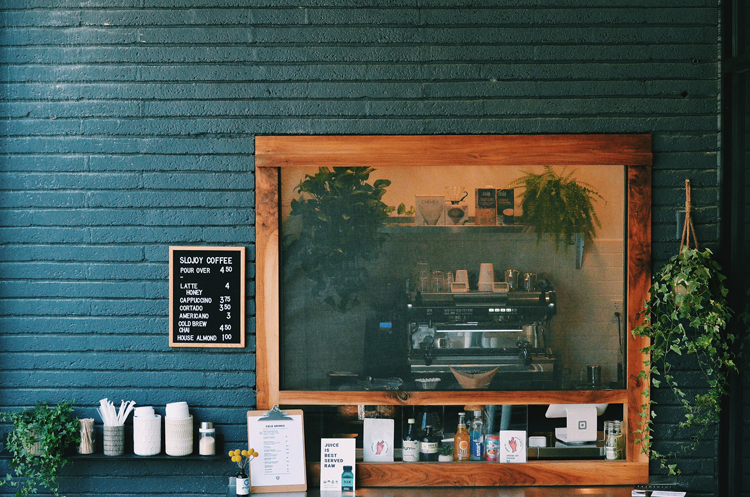 Before they could nail down a coffee shop space, they need a little help. “We did a Kickstarter, raised $8,000 in 30 days, and bought our espresso machines,” Christopher said. Now, at the beginning of 2019, they’re roasting in a much bigger facility than their Martinez apartment: Bay Area CoRo in Berkeley. And they’ve been serving out of their walk-up window—a converted janitor’s closet on the ground floor of a coworking space—for almost a year. 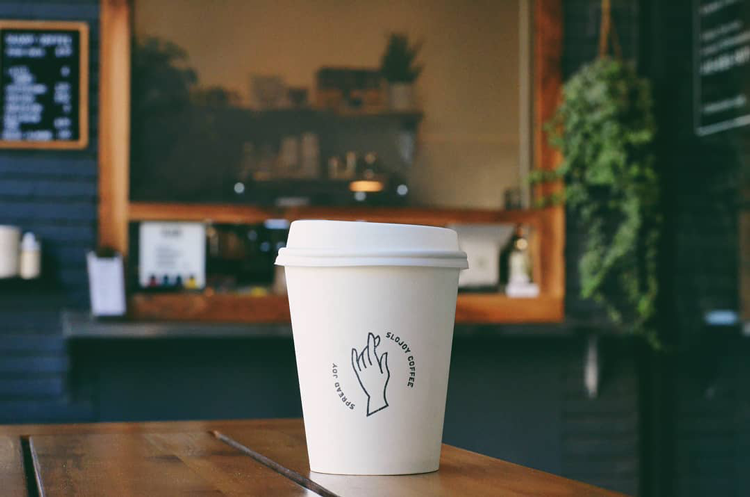 And while the coffee and the location are excellent, we think there’s a lot more to this little coffee shop than just that, and several great reasons passing customers become Slojoy regulars. And because the Slojoy team officially consists of just two people, there’s a good chance that note was handwritten by Christopher himself. The second reason comes in the form of an opportunity. Slojoy’s Cup of Joy option on their menu lets people just like you give back to the community, too. Christopher explained, “It’s a pay it forward option. 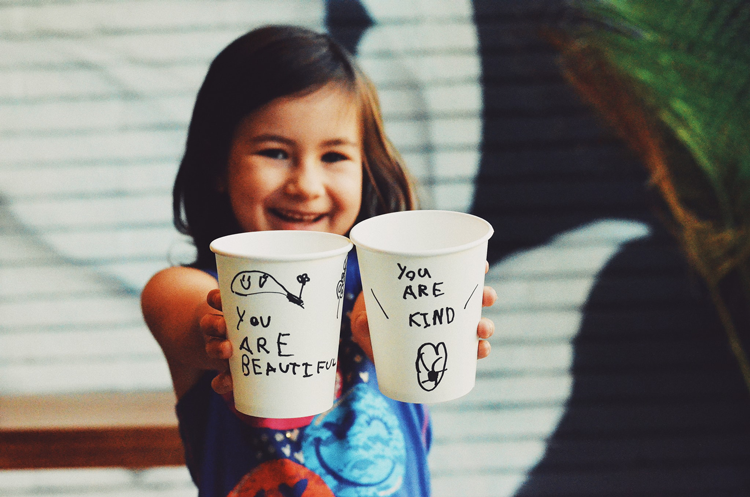 People can say, ‘I want to put five dollars down for a drink’ and they pay for other people’s coffees.” Through the Cup of Joy, you’re giving someone else a free coffee and a smile of their own. And the heart of Slojoy—Christopher’s experiences with pastor work and church planting—is still going strong. And that work directly relates to Slojoy’s day to day operations and its overarching, joyful mission. 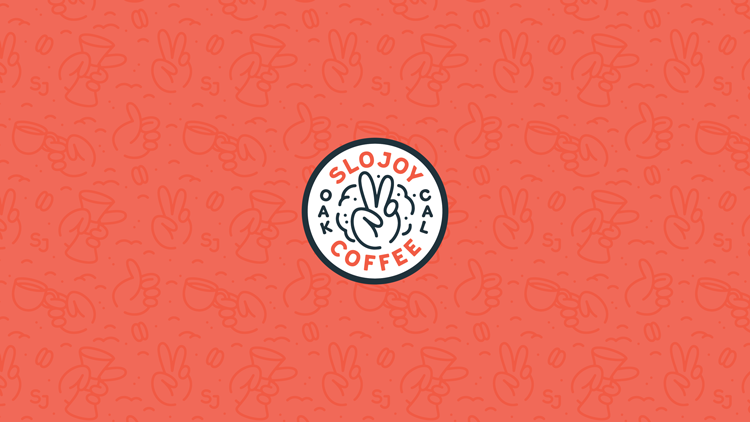 While The Movement Church grows in Oakland, Slojoy Coffee Roasters will, too. The new branding is something that will stick with Slojoy as they expand into more locations. While Christopher was able to tell us there’s a second location on the queue in Oakland, he wasn’t able to tell us where. So, if you want to be the first in line, be sure you’re following Slojoy Coffee Roasters on Facebook. You can also find them (and see a few cheerful notes) on Instagram and Twitter. And you can locate their first shop at 1528 Webster St just outside the coworking building 1528 Webster in downtown Oakland. Come on up to the window and order your Cup of Joy. 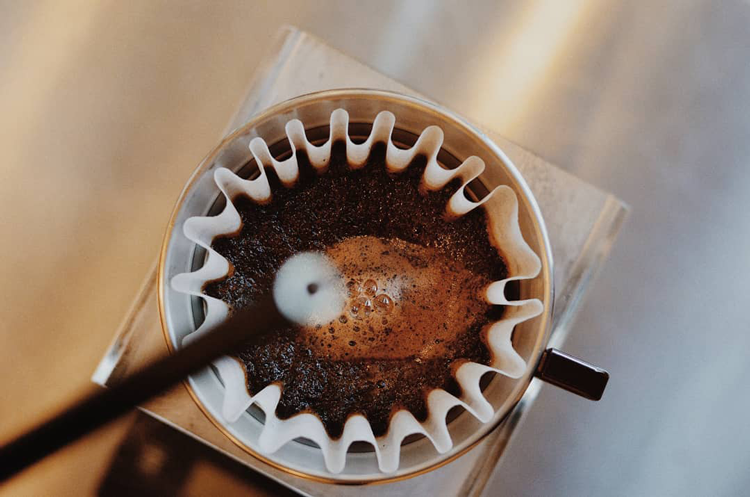 You can learn more about local coffee roasters and shops in our other articles: The 13 Best Local Coffee Shops in Oakland and The Bay Area’s 13 Best Artisan Coffee Roasters. If you snap a selfie while you’re sipping your local coffee, be sure to tag #DiscoverYourView for a chance to be featured in our Instagram feed! You can find us at @mcguire_re. ©2017 McGuire Real Estate. All rights reserved.